Promoted as “The Best Small Car in the World” during the pre-War years and apparently able to carry up to a combined weight of forty stones plus 56lbs of luggage in comfort, the Austin Seven delighted the motoring public of the time. So much so in fact that it seems to have destroyed many of the Cyclecar manufacturers in the process. In a time when the nation’s economy was struggling, the Austin Seven, we are told, brought more ‘Smiles per gallon’ than any of its other motoring competitors, and was offered in a variety of guises. 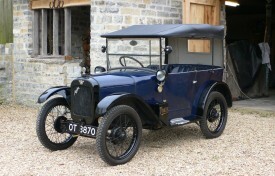 Amongst the most popular was the Chummy, which could take four people for a burst of unforgettable open air motoring. OT 8870 is a relatively early and highly collectable example, having scuttle mounted headlamps, a bulkhead mounted fuel tank and a magneto ignited engine. It came off the Longbridge assembly line in October 1927 and the Winchester Records Office state that it was first registered to a K.T. Sykes of Andover, hence the Hampshire OT registration number. We are informed that the Chummy was restored in 1992 by Austin expert Barry Gundry, and a new body by Roach Manufacturing Ltd was also fitted. It has been a regular concours winner in the past, most notably wining Best in Show and Best in Class on several occasions, including at the Beaulieu National Austin Seven Rallies. 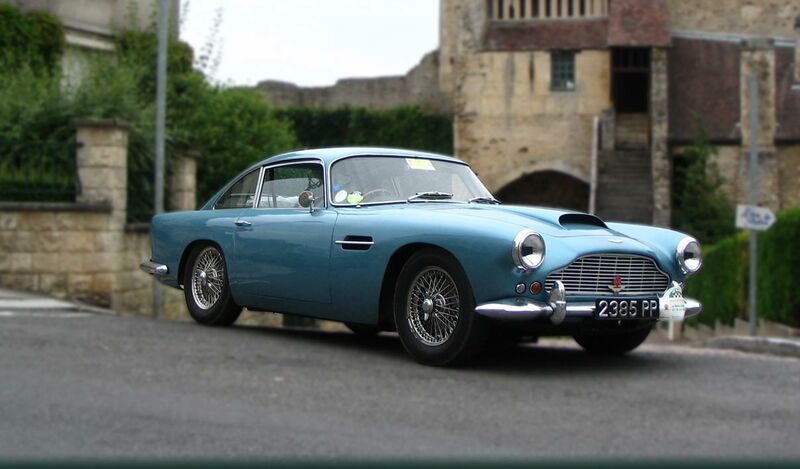 DVCA sold OT 8870 to a long time Austin Seven enthusiast in June 2014 and the motor car remains in very smart condition; the paintwork is very good and there are excellent side screens and a fine hood. The original wiper motor and blade is present (the blade consists of chamois leather wrapped over the actual blade which works effectively when wet!). Upholstery is in blue and equally good, the instruments are all in place and work, although the vendor tells us that he disconnected the oil pressure button. The engine starts easily and runs well through the three speed gearbox. Wheels and tyres are all good, so the Austin runs nicely and appears ready to be enjoyed. The Chummy comes with the V5C registration certificate, a V5 document, a quantity of past MOT test certificates and a file of information etc, including a copy of Practical Classics magazine with a five page article featuring this actual motor car.